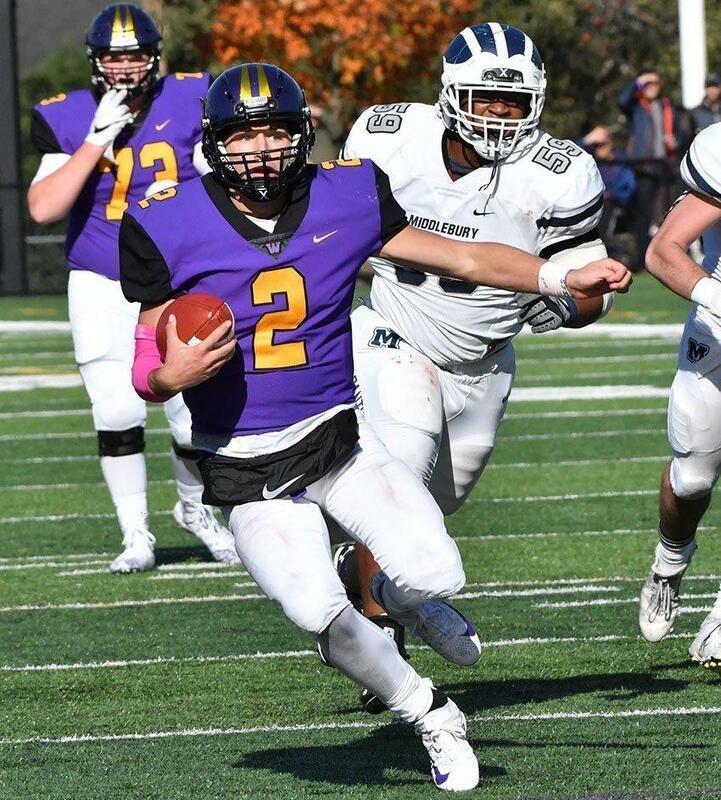 On Saturday, football’s furious comeback fell just short as Williams (5-3, 5-3 in the NESCAC) fell to Wesleyan 21-14, despite two touchdown passes thrown by Jackson Bischoping ’22 to Frank Stola ’21 in the fourth quarter. 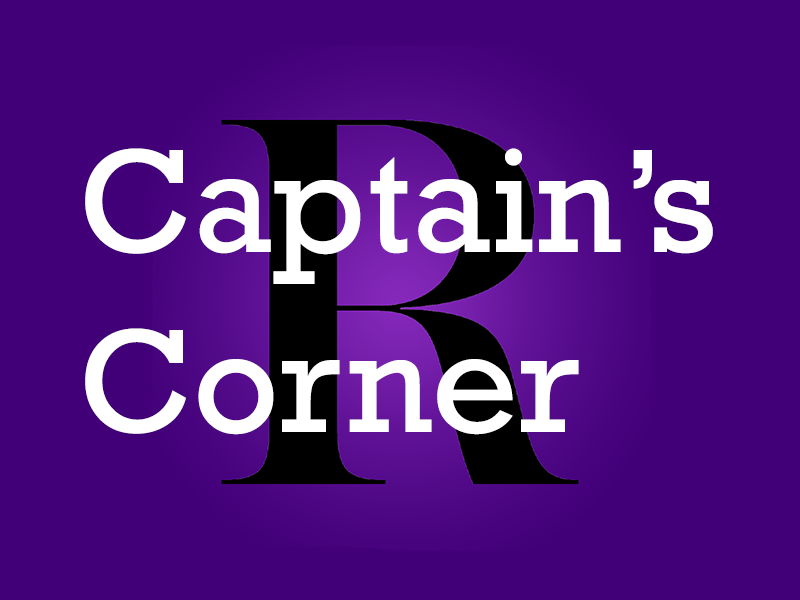 Both sides played a tough, gritty defense, which led to just one score – a seven-yard rushing touchdown by Cardinal running back Glenn Smith – in the first half. 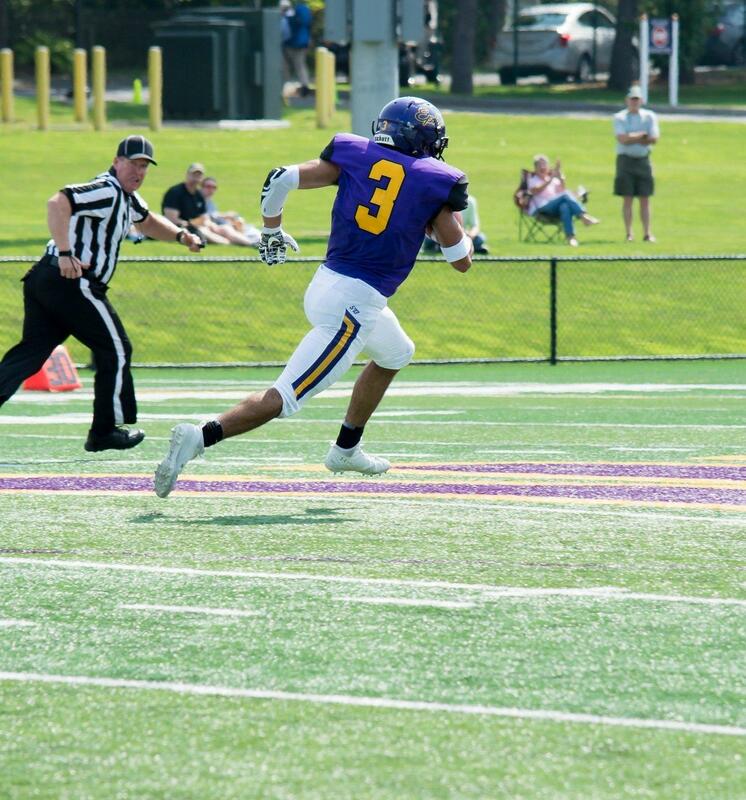 Last Saturday, men’s football (5-2) took a second-quarter lead and never looked back, snapping a two-game losing streak and defeating Hamilton 27-17 on the road in Clinton, New York. Hamilton had taken the lead at the end of the first quarter on a 35-yard pass from quarterback Kenny Gray to a wide-open Christian Donahoe in the end zone, which followed a Williams field goal drive – their second drive inside the Continentals’ 30-yard line up to that point. A crucial goal-line stand, crucial defensive line contributions and a halfback pass for a touchdown propelled Tufts to a 28-21 victory over men’s football. It was a tale of two halves in Medford on Saturday, as the Ephs and Jumbos scored 42 combined points in the first half but just seven in the second. Despite holding the Middlebury offense scoreless in the second half on Saturday, football (4-1, 4-1 in the NESCAC) was unable to come back from a significant early deficit as they fell short to Middlebury 21-10. The Panthers controlled the line of scrimmage from start to finish, racking up 278 rushing yards and holding the Ephs to their lowest point total of the season in a convincing win. 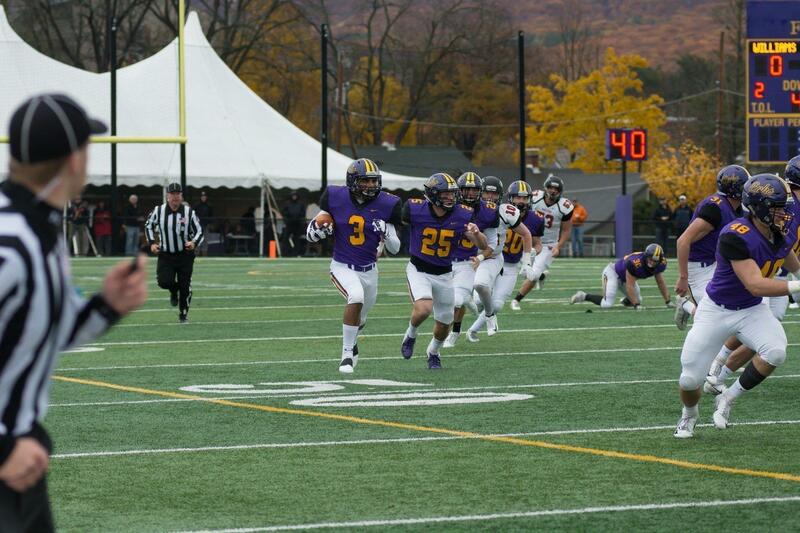 Last Saturday, football (3-0, 3-0 in the NESCAC) scored 14 unanswered points in the third quarter en route to a 21-16 win against defending NESCAC champion Trinity, snapping the Ephs’ losing streak against the Bantams. The Bantams controlled the pace of the first half, outgaining the Ephs 200-141 yards and consistently getting into the red zone. But each time Trinity drove inside the 20, the Williams defense held. 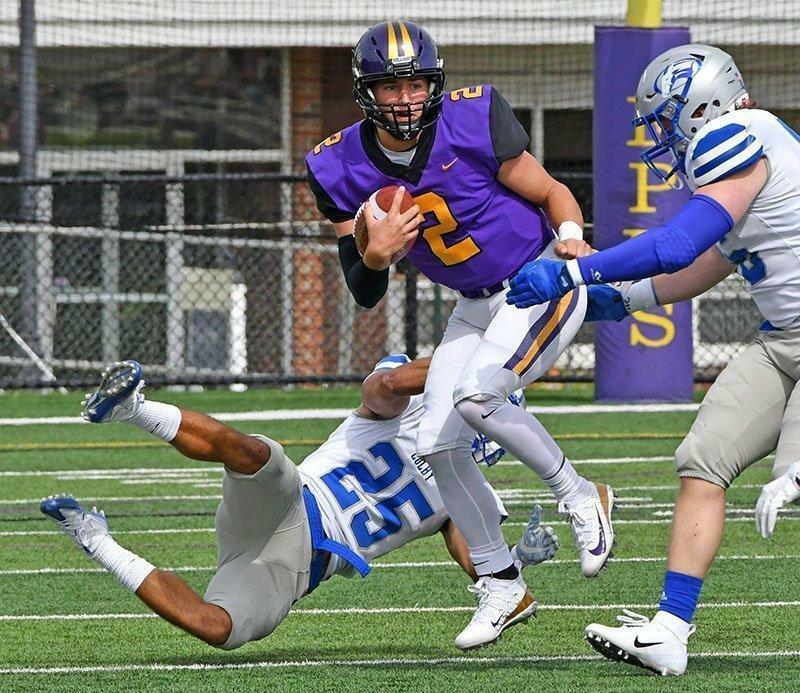 A momentum-changing special teams play, a record-tying four rushing touchdowns from quarterback Bobby Maimaron ’21 and a career-best performance from running back TJ Dozier ’21 sparked football’s (2-0, 2-0 in the NESCAC) 36-14 win over Colby in its home opener. 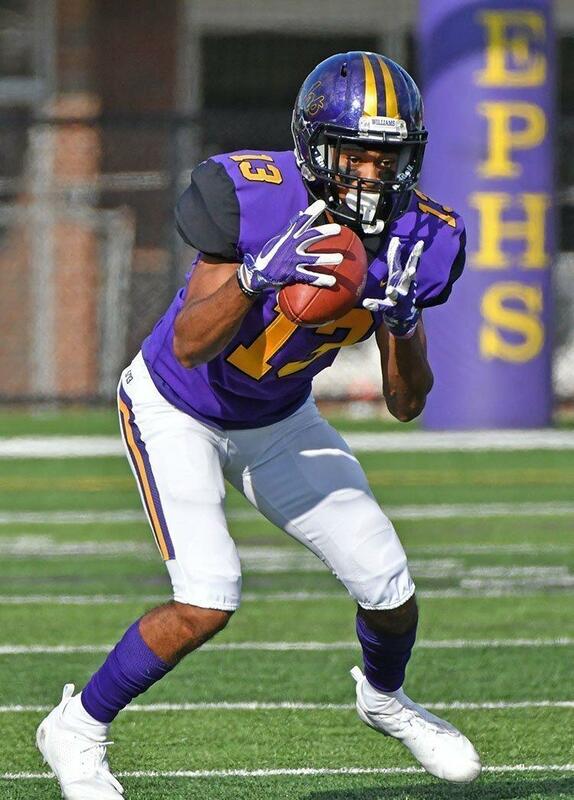 The game’s only turnover came on a play in which Colby punt returner Alex Sands fumbled the punt, which was then recovered by defensive back Christian Dumons ’19. 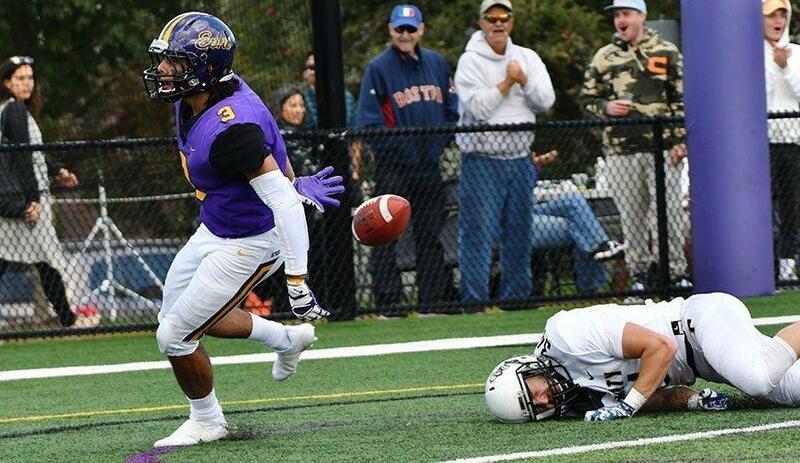 Football (1-0 in the NESCAC) scored the first 41 points of the game and totaled 476 yards on offense to beat Bowdoin 41-6 in the season opener. The sophomore class shined, with quarterback Bobby Maimaron ’21 scoring four touchdowns, two of which were caught by receiver Frank Stola ’21.